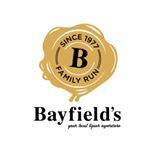 Bayfield's is a totally independent and family run liquor superstore based in Dee Why on Sydney's Northern Beaches. We are conveniently positioned underneath the Dee Why Grand shopping centre, on carpark level P1. We also have dedicated parking bays outside our superstore, and a convenient drive in “Express Pick Up” Bay at the front of the store. If you’re short on time you can always jump online and either place a Click & Collect order, or have your favourite tipple home delivered directly to your home or office, it’s that easy! Our Dee Why Superstore has an outstanding range of wine, beers and spirits with over 450 brands and 1,200 products, including some very special back vintage and rare wines from our private cellar. If you love a good deal, our #bayfieldsbestbuys promise is that we will always work hard to get you the best deals on the best brands! #bayfieldsbestbuys are our weekly specials featured in the Manly Daily ads, in-store, online, in catalogues, email newsletters and on our Facebook and Instagram pages. #bayfieldsbestbuys are our weekly specials that run from Wednesdays to the following Tuesday, changing weekly.